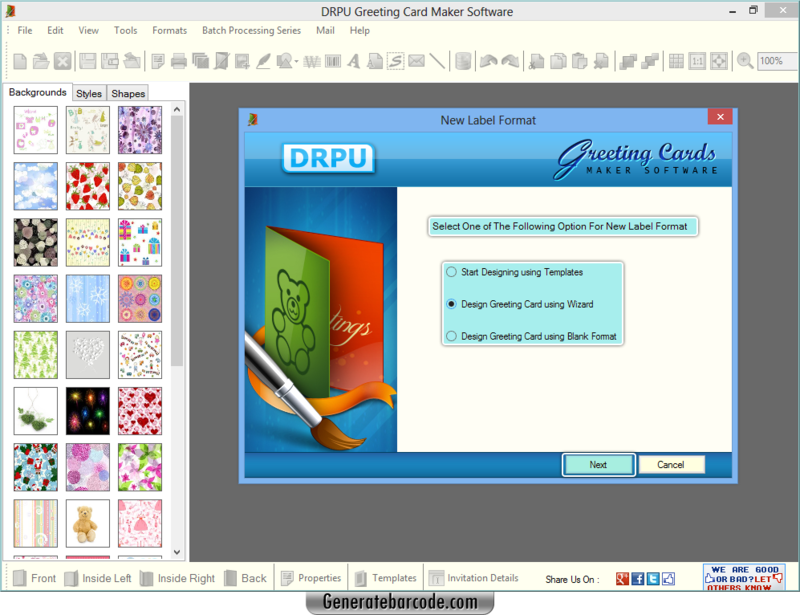 Select one of the options to start greeting card designing process. 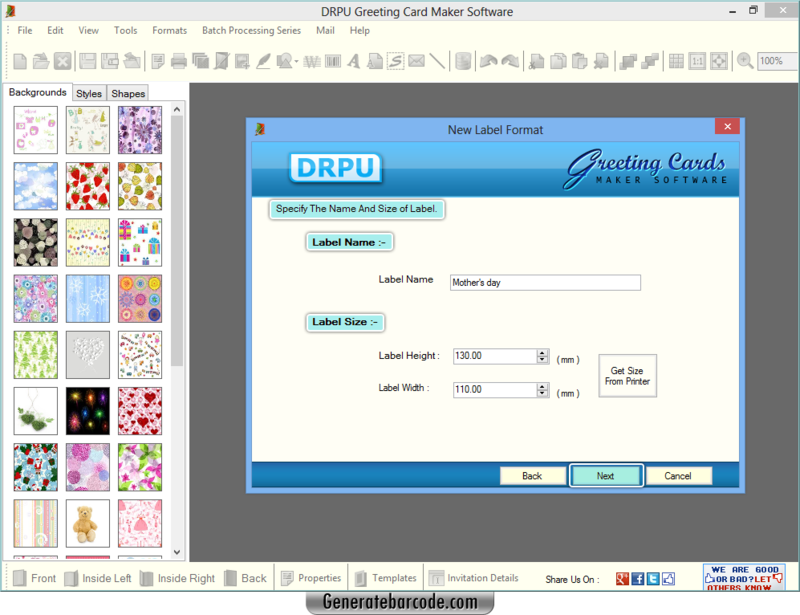 Specify label name and label size to proceed. 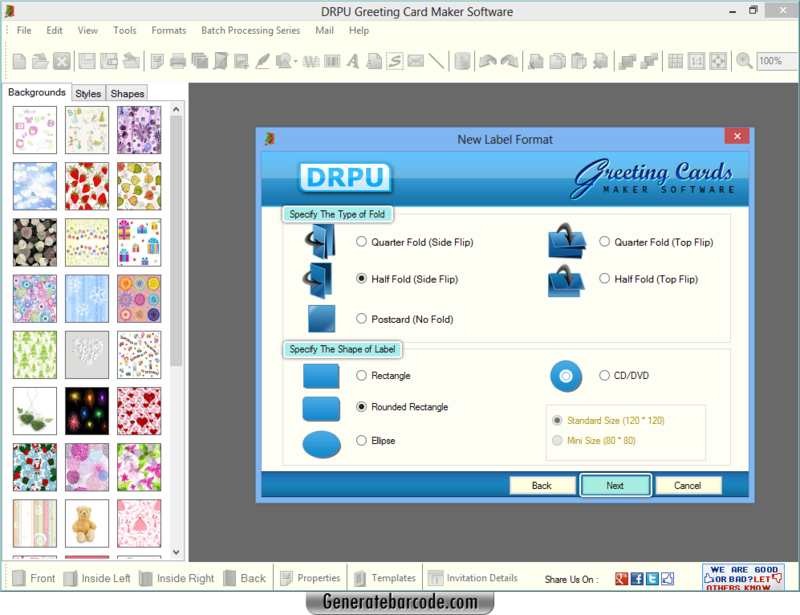 Set type of fold, shape of the label and click next button to continue. 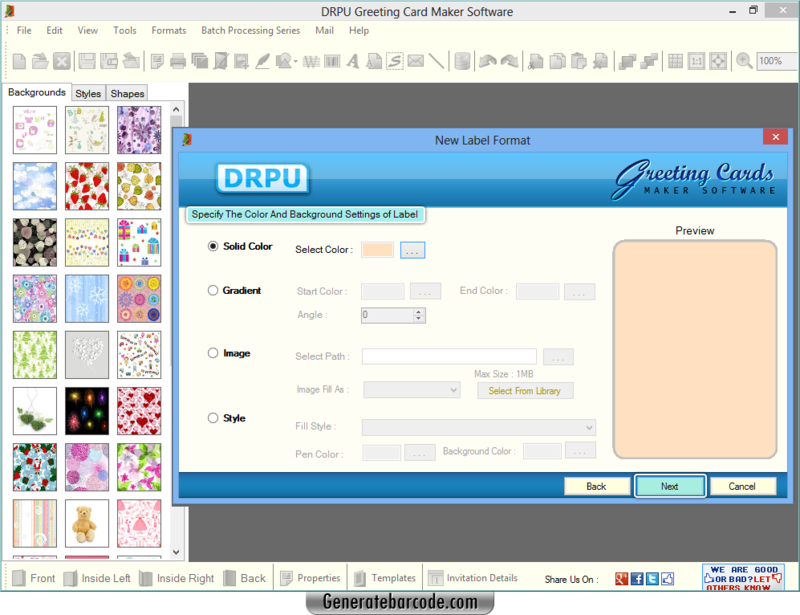 Specify color of background (solid, gradient, style or image) and proceed to next screen. 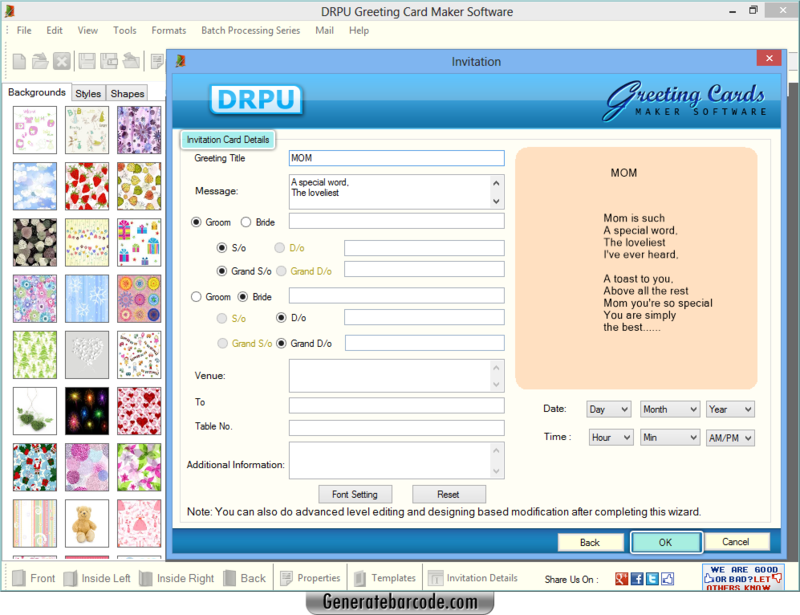 Add invitation card details and set its font family, size and font style then press next to proceed. 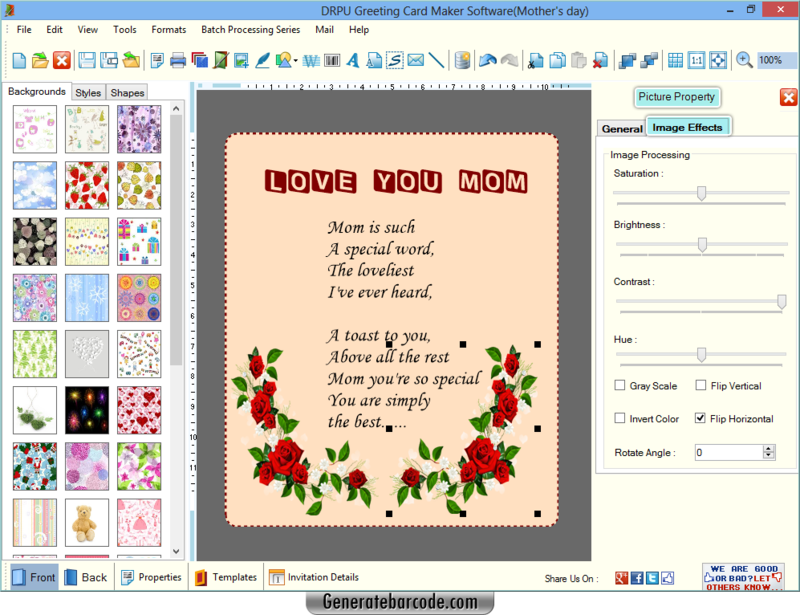 To insert image, go to picture tool from toolbar then browse its path and edit its properties as per need. 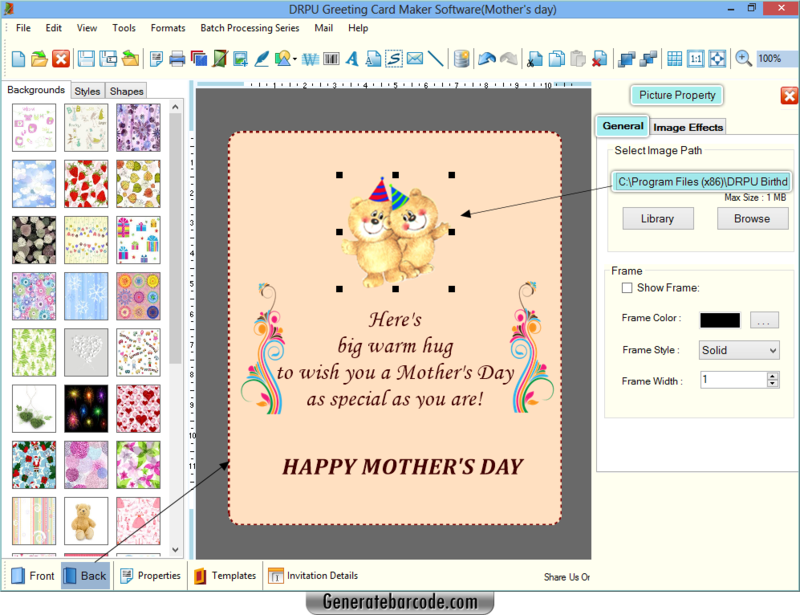 Similarly you can add text and image on back side of your card.